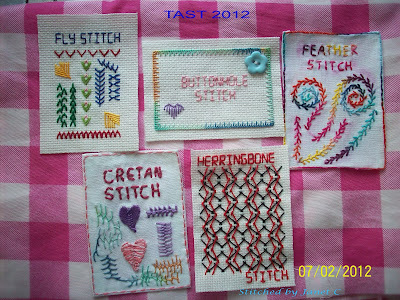 It's week 5 of the TAST. 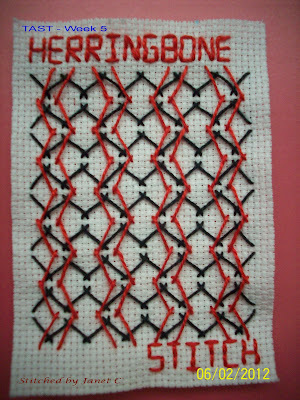 I stitched this on Aida 16 using DMC Perle no. 8. Looking good ! 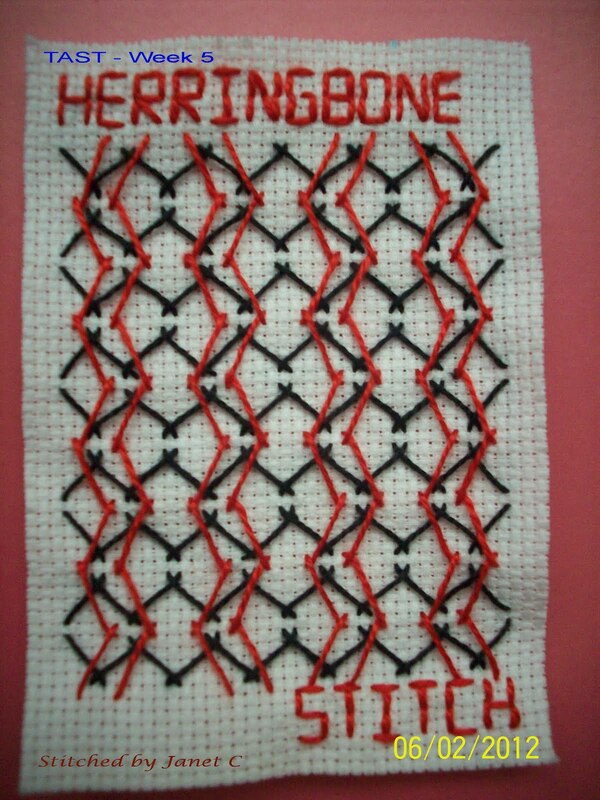 A good way to explore the stitches. Enjoy!